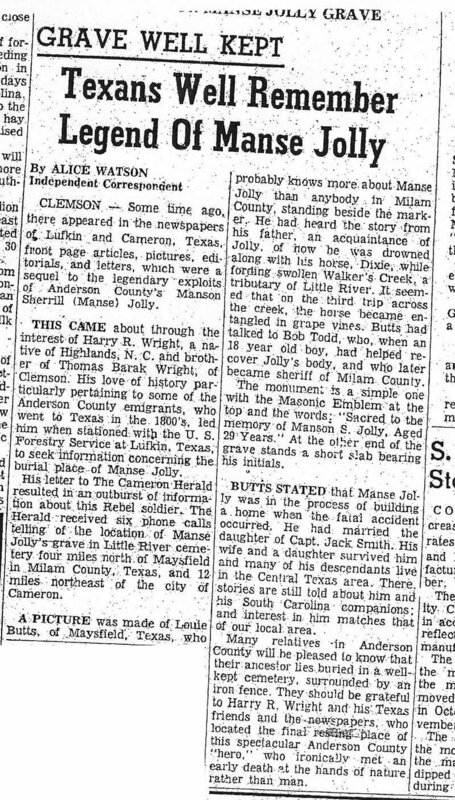 Anderson Independent Article, "Texans Well Remember Legend Of Manse Jolly"
"Texans Well Remember Legend Of Manse Jolly"
This article is a scanned copy of archived microfiche film from the Anderson County Library and is poor quality. If anyone has a better copy please let us know, we would like to have a better image to publish. Contact: ed@sandersweb.net or webmaster@sandersweb.net.